Evolution, global warming, human cloning, abortion rights. The cultural and political debates playing out on today’s world stage invoke frenetically partisan passions, and yet they are symptomatic of a broader cultural rift: the division between Christianity and science. 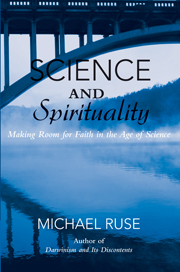 Michael Ruse, author of Science and Spirituality: Making Room for Faith in the Age of Science, is a persistent figure on the frontlines of this divide. Negotiating the fine line between scientist and skeptic, Ruse pushes to show how it is possible for a believer of any faith to engage in an open and informed intellectual dialogue—for science and religion to coexist. He’s not alone. This year, the Foundation honored Francisco J. Ayala with its prize for “a living person who has made an exceptional contribution to affirming life’s spiritual dimension, whether through insight, discovery, or practical works. It is the world’s largest annual monetary award given to an individual, currently valued at 1,000,000 pounds sterling.” (Past winners included Mother Teresa and Chuck Colson, former Watergate burglar -turned- born-again Christian). Yet no worthy award presentation is without controversy! Last week, the Templeton Foundation announced this year’s winner of its prize honoring “a living person who has made an exceptional contribution to affirming life’s spiritual dimension.” In the early years, the award went to a range of figures in the religious world, including Mother Teresa and Chuck Colson, the Watergate burglar who later became a born-again Christian and a big figure in prison ministry. More recently, the award has been given to academics working on the science-religion interface. It was therefore appropriate that this year the Prize went to Francisco Ayala, a Spanish-born population geneticist at the University of California at Irvine. Ayala (a former Catholic priest) has long been interested in the science-religion relationship, and he has been prominent in the fight against the encroachment of Creationism into state-supported biology classes. However, the announcement has not been without controversy. The Templeton Foundation was begun by the late Sir John Templeton, who made a great deal of money by starting mutual funds, and is essentially devoted to the promotion of the interaction and harmony between science and religion. It is hardly too strong a term to say that it is an object of derision by many of today’s scientists, including my own colleague here at Florida State University, Sir Harry Kroto who won the Nobel Prize in chemistry (for discovering the structure of complex carbon molecules, “buckyballs”). Richard Dawkins has characterized the president of the Royal Society (of London), Sir Martin Rees, as a “Quisling” (after the war-time Nazi ruler of Norway) for his friendliness to the Foundation. Jerry Coyne, a University of Chicago biologist and a deservedly respected scientist for his work on problems of speciation, runs a blog (Why Evolution is True) where he writes of the foundation’s “history of intellectual dishonesty.” When it was announced that the National Academy of Science’s premises would be used to introduce this year’s prize winner he called it an “outrage.” And then there is Minnesota biologist P. Z. Myers, who runs the blog Pharyngula, and whose splenetic keyboard surely qualifies him for the title of evolution’s answer to Rush Limbaugh. It is not only the Foundation that sends up his blood pressure, but Ayala now also is in his line of fire. He is accused of “intellectual cowardice” and is characterized as “the master of non-committal waffle.” Apparently Ayala received the award purely for “religious apologetics,” even though somewhat inconsistently Ayala is also faulted for not making clear his own position on the God question. 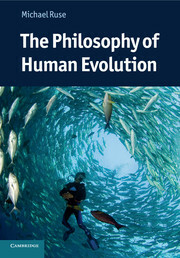 I am a good friend of Francisco Ayala, a bond which goes back even before we together (along with others, including the late Stephen Jay Gould) appeared as expert witnesses in a trial in the State of Arkansas, where on behalf of the American Civil Liberties Union we testified (successfully) against a law intended to bring Creationism into the state’s biology classes. However, I know full well that Ayala is fully capable of defending himself, so I will say no more about him. But I would like to say a few words about the Foundation itself.